Two spare straws and a cleaning brush - especially for the NEW b.box sippy cup. Dishwasher safe. Made from PP and silicone, steel weighted ball. BPA, Phthalates and PVC free. 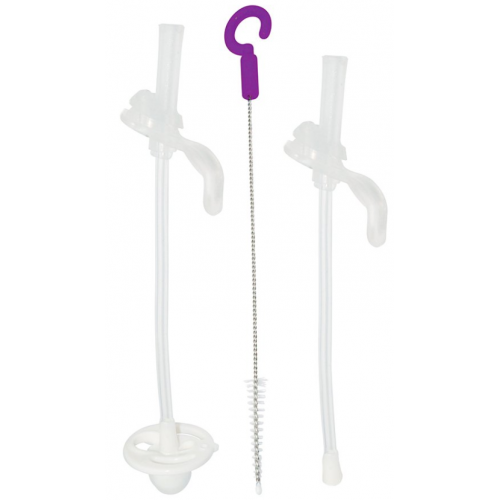 This straw pack is only compatible to the new version sippy cup - matte lid sippy cup in purple packaging.